An excellent review of neuroacanthocytosis including chorea-acanthocytosis, McLeod syndrome, Huntington’s-disease-like 2 and PKAN is available free on-line. This is a service of the National Institute for Biological Information that is associated with the American National Institutes of Health. naadvocacy.org is the website of the Advocacy for Neuroacanthocytosis supporting patients and promoting clinical and basic research. How has NA research progressed since 2001? Where has research into NA come since the early days? In July, Adrian Danek met the NA trustees for tea in central London and took the opportunity to update the Advocacy Board about our history and research endeavours. Nancy Glynn, Sheila Peskett, Deborah Kempson-Wren, Neil Price and Ginger Irvine heard the presentation with interest. You can see the full presentation at that link: it provides a broad overview from the first identification and of the ChAc gene (VPS13A) and publication in 2001. Thank you, Adrian, for this overview. We have come so far and look forward to the next research challenges with good reason for hope. The 9th Symposium brings together basic and clinical neuroscientists and neurologists to address new discoveries in this expanding field. There will be a particular focus upon important developments in basic science since 2016 (including lower organism, animal and cell models; and disease pathways), in addition to the potential clinical translation of experimental treatments developed in vitro. Young faculty and students in particular are encouraged to attend and to present their work during the poster session. Patients and caregivers continue to play a critical role in this process, and we will discuss together the next steps, action points, and future studies. This is a collaborative process involving researchers, clinicians, patients, and caregivers, in our quest to advance knowledge and practice. The Advocacy has recently agreed to fund a research grant requested by Ricardo Escalante at the Biomedical Research Institute Alberto Sols in Madrid. The title of the Project is VPS13A and autophagy, possible connections and preclinical studies and will be overseen by Sandra Muñoz Braceras who has been working in Ricardo's lab on the beginning of the this project while completing her PhD this last year. Sandra is a very talented young scientist who has devoted her thesis to VPS13A research and autophagy. 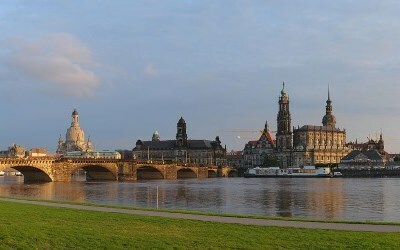 She has also worked in Dresden with Andreas Hermann. Ricardo says, “We have a funded project from our Spanish National Grant Agency (from January 2016 to December 2018) entitled Molecular mechanisms of autophagy with a focus on rare diseases related to the proteins VPS13 and WIPI. Our Institute has all required infrastructure and facilities to support high quality research." Sandra’s work will be supported by the Advocacy within the lab with work undertaken by Ricardo. 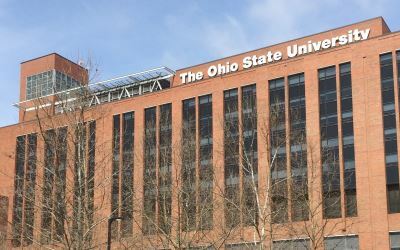 A new collaboration to look at data about NA dating to the 1960s is to be undertaken following a talk earlier this year at Ohio State University by Adrian Danek. One of the earliest descriptions of what is now called neuroacanthocytosis was the subject of discussion after a guest lecture Adrian Danek gave at the university in Columbus, Ohio in March 2017. Adrian spoke about "Neuroacanthocytosis, an overview (McLeod syndrome and chorea-acanthocytosis)" during Neurology Grand Rounds, on the invitation of Prof. Douglas Scharre. We're happy to announce two new Trustees to the Advocacy: Bella Starling and Deborah Kempson-Wren. Bella Starling PhD FRSA is a Wellcome Engagement Fellow. Her role is as Director of Public Programmes, Central Manchester NHS Trust and she is an Honorary Research Associate at the University of Manchester. Deborah Kempson-Wren received her BA Hons 1st class from Sussex University and Masters in both Public Administration and Executive Coaching and Mentoring, the former in Australia and the latter in London. Her work has been varied and in different sectors. Read on to learn more about the latest additions to the Advocacy team. We'd like to extend our thanks to Louise Dreher, who has now completed two three-year terms as a Trustee for the Advocacy. Louise, an Englishwoman living near Frankfurt/Main, was a good friend of patient Peter Ball at Aston University in Birmingham. 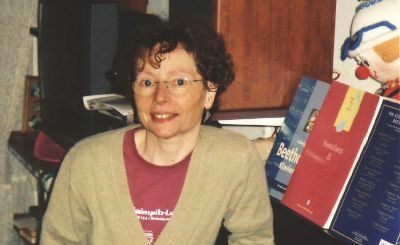 We originally met through Louise's generous support of the Advocacy when Peter died, and Louise has since made a big contribution by translating material into German and keeping contact with German patients as an Advocate. Furthermore, Louise has demonstrated deep dedication and exercised great conscientiousness as a Trustee. She cares deeply about supporting patients and research and actively kept herself up to speed on the many aspects of financing research, as well as the ongoing sharing of treatments and care giving for patients and thier families. We thank her for her attentive work as a Trustee and her rigour in reading all the documents and minutes, helping to ensure that we fulfil our duties as Trustees. Louise will continue to act as an NA Advocate to German speaking patients and their families. Thank you, Louise! EURORDIS, the European Organisation for Rare Diseases, is launching a new project of interest: Rare Barometer Voices. This initiative aims to strengthen the voice of rare disease patients in Europe. By transforming your opinions and experiences into facts and figures that can be shared with European level policy makers and other influential figures, they will be made aware of the actions that need to be taken for the rare disease community in Europe and make changes that directly affect you. It will also help the Advocacy in our work to raise awareness about the impact of living with a rare disease. To add your opinions and experiences to the voice of rare disease patients, see the website www.eurordis.org/content/contribute-rare-barometer-programme and register for Rare Barometer Voices. After registration you will be sent an email to request your participation in each new survey related to subjects that concern you. You are free to decide which surveys you want to participate in. Please note that the responses to these surveys are completely confidential, owned by EURORDIS (a non-profit organization) and will not be used for commercial purposes. A recent article published by Ruth Walker and colleagues in the journal Neuropathology and Applied Neurobiology sheds light on the cause of seizures in some people with chorea-acanthocytosis. 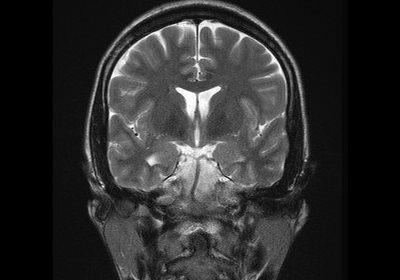 Investigators from NIH and Mount Sinai School of Medicine, New York, examined the brain of a person who was affected with ChAc following his death. In addition to loss of neurons in the basal ganglia, the area which is known to be affected, they found degeneration of neurons of the hippocampus, and area which is often the source of seizures. Abnormalities in this area have been seen on brain scans of people with ChAc and seizures, but this report shows how this area is actually affected. This information may help neurologists better control seizures in people with ChAc. This report also helps emphasize the importance of brain donation for increasing scientific knowledge of rare diseases. See the article at https://www.ncbi.nlm.nih.gov/pubmed/28398599: "Hippocampal sclerosis and mesial temporal lobe epilepsy in chorea-acanthocytosis: A case with clinical, pathologic, and genetic evaluation," Mente K, Kim SA, Grunseich C, Hefti MM, Crary JF, Danek A, Karp BI, Walker RH, Neuropathol Appl Neurobiol. 2017 Apr 11. doi: 10.1111/nan.12403. In September Alex and Ginger had a visit from Ernesto Montero who was in the UK for a show at the Saatchi The Other Art Gallery in Bristol. He spent a couple of days in London visiting art galleries and bringing us up to date about the family. Mario and David are still enjoying the swimming pool Ernesto built in their back garden. Ernesto is hoping to attend the Dresden meeting, perhaps with one of his brothers and mother. We congratulate Ernesto on the success of his artwork: Christina Liu visited Ernesto in Spain and bought one of his paintings! Mark Williford continues to do water aerobics 3-4 times per week, thanks to a dear friend who provides transportation. 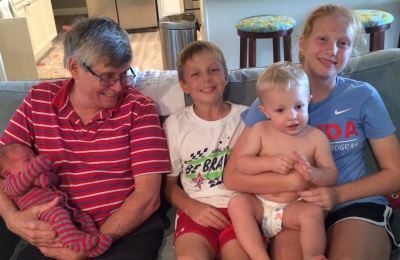 Mark's wife Joy provides transportation for the grandchildren daily. 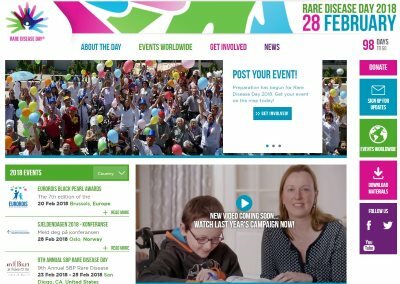 Grandson Cooper wants to help with fundraising for NA research and they will likely plan an event around Rare Disease Day, February 28, 2018 - an idea for us all! 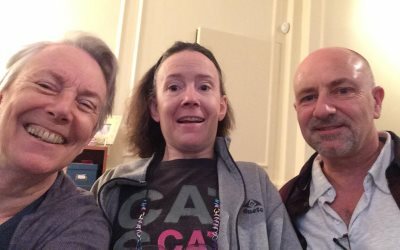 They are planning to come to Dresden in March, when Joy will lead a session for patients and families. 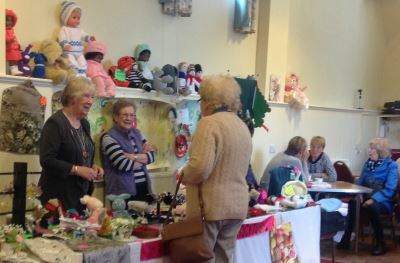 Gill and Gordon Parry in North Wales have again been busy attending fairs and raising funds for NA. Recently a cheque for £5000 was deposited in our account from numerous events over the last year. The photo shows their table at.the Tithe Barn in Hawarden where they raised £555 - well done! The banner in the photograph reads: “In aid of Neuroacanthocytosis.” More hard work will come in Llangollen followed by the big event in St Giles Church in Wrexham in December. Our heartfelt thanks for their continuous efforts on our behalf; we salute you.